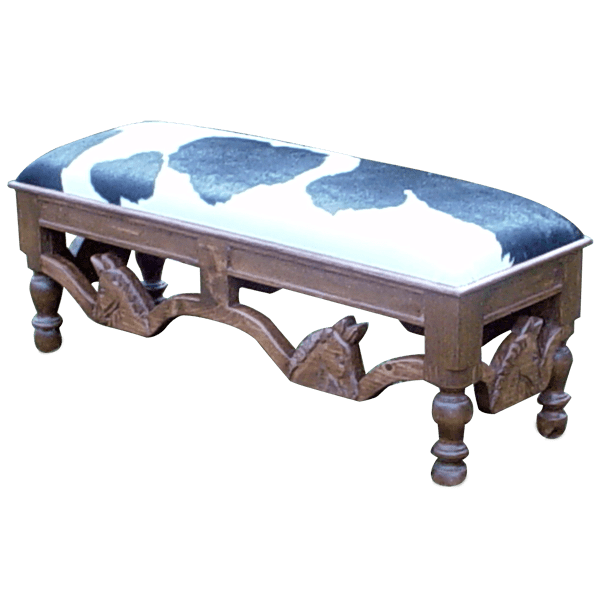 With its colonial details and its cowhide upholstery, this handcrafted, Spanish colonial style bench will be a lovely addition to your Western décor. The bench is designed without a back, and its well padded seat is upholstered with black and white, patterned cowhide. The cowhide is hand tacked to the solid wood frame with decorative, gilt nails. 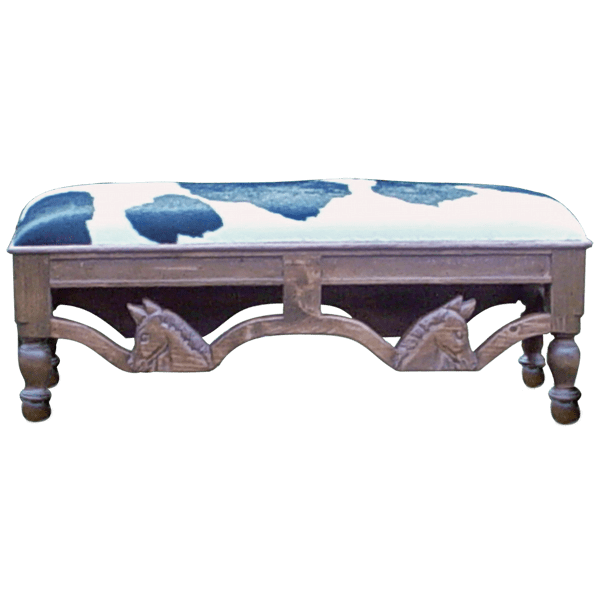 The bench is supported by four, beautiful, hand turned legs, and the legs are connected with a hand carved, detailed, horse head framework. It has an elegant, light finish, and it is made with the best, sustainable, solid wood available. The bench is 100% customizable.